was recently awarded the high overall rating "Exceeding National Quality Standard"
by the Queensland Department of Education and Training. 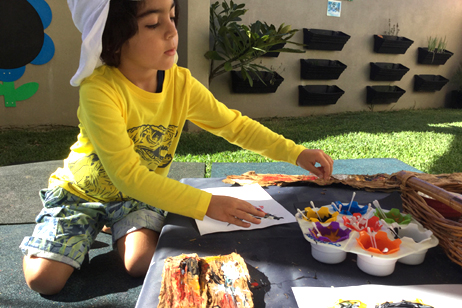 Crestwood Child Care Centre – a Montessori inspired pre-school – is located in Molendinar almost opposite the Gold Coast Hospital and the Griffith University Campus. The operators of Crestwood Child Care Centre have been serving the children and their families with Montessori education for the last 20 years. The Montessori approach offers a broad vision of education as an ‘aid to life’, supporting the full development of the human being. As an educational system, Montessori has a more successful track record than any other educational approach. Take our Virtual 3D Tour! Take a journey through every nook and cranny of our child care facility - its just like being there! Our virtual 3D tour shows you our entire school from a "childs-eye" perspective to help you understand the planned environment that underpins everything we do. Browse through our Gallery of images ranging from General Photos to Practical Life, Sensorial, Language, Mathematics and Culture. Learn more about our programs in detail, find out about our fees, or download an Application for Enrolment form. You can also request our one page Fact Sheet, Application for Enrolment form or a full Enrolment Form from us by email through our Contact Us page. Check out our growing list of testimonials, videos, books, equipment and links.